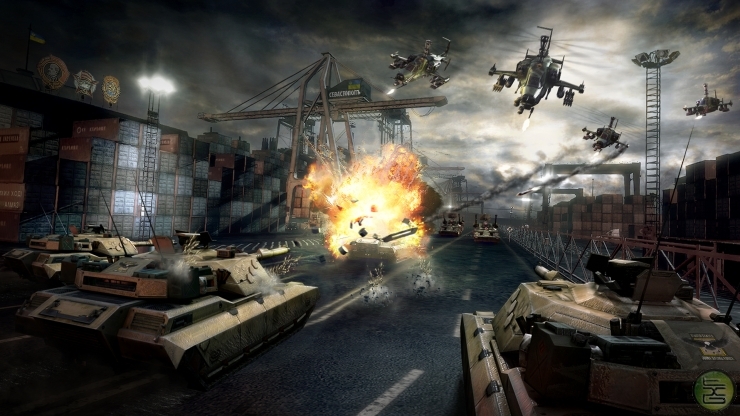 EndWar looks like a typical real-time strategy game. 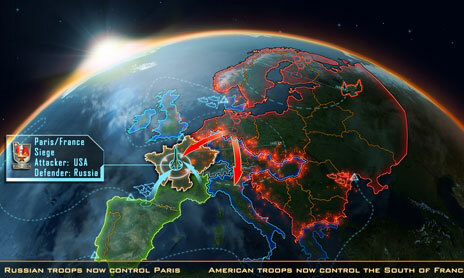 You control sets of units on a 3D battlefield, and they pound the heck out of the enemy, a real-time strategy game for the Xbox 360, PlayStation 3, PC and Nintendo DS set during World War III. The game will feature optional voice commands so that the player may use a headset to give orders to his troops, although the troops will only react to valid and game-related orders in certain languages, but are able to understand many accents of those languages. Hearing enemy soldiers communicate gives the player a strategic advantage to counter their attack with one of his own. Troops which have been with the player for many battles will be more effective than fresh recruits. De Plater, lead designer, says this creates a "Pokémon-like" ownership of the player's units, and will have a large effect on his tactics. "It's a battalion that you own," says de Plater. "You can personalize it. You can customize it. You can choose its motto and its heraldry. You can change its composition and abilities." The view in the game is from the perspective of one of the units under the player's command. The camera can be panned 3-dimensionally and swapped between units but is not directly under the control of the player. Enemy units will only be detected if they are visible; doing away with the fog of war common in most strategy games; however, a player with enough investment into the space program can use satellite feed to see all units on the map. In addition to the units' point of view, there is also a tactical map, which shows the entire map with the locations of all allied and any visible enemy units and can be used for commands such as setting waypoints.